Martyn Edgell Antiques offers this rare Pearlware jug commemorating the Peterloo Massacre for £1650 at Art & Antiques for Everyone (April 4-7). 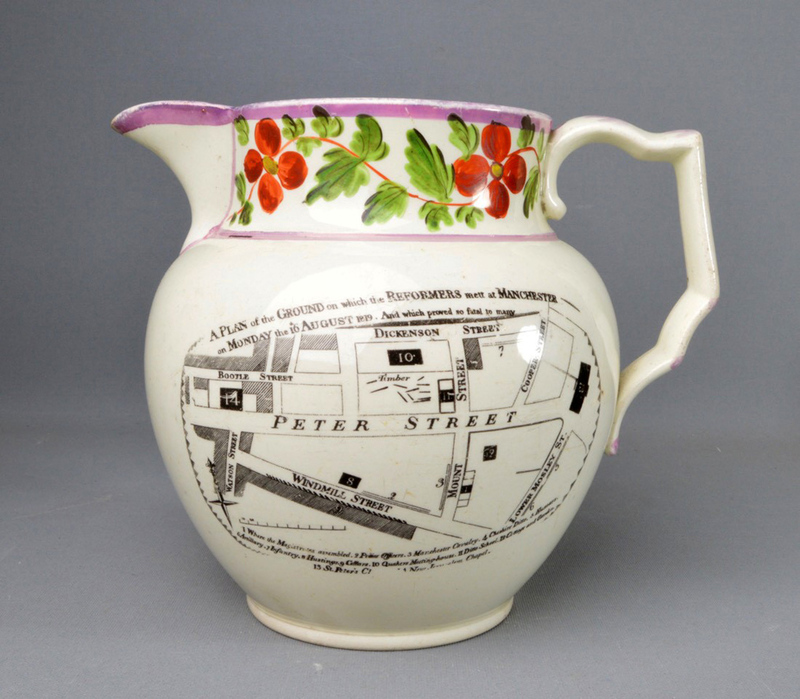 The Pearlware jug shows a map of St Peter’s Field in Manchester where cavalry charged a crowd of 60,000-80,000 that had gathered to demand reform of parliamentary representation on August 16, 1819. Around 15 were killed and 400-700 injured. The event was given its name in an ironic comparison to the Battle of Waterloo which had taken place four years earlier. Martyn Edgell Antiques offers the jug for £1650 at the Art and Antiques for Everyone fair taking place at Birmingham’s NEC, April 4-7. The events of Peterloo have been commemorated recently with a film by British director Mike Leigh. The city of Manchester has also been awarded £181,900 by the National Lottery to deliver a programme of work commemorating the bicentenary of the event, including the largest Manchester Histories Festival to date.